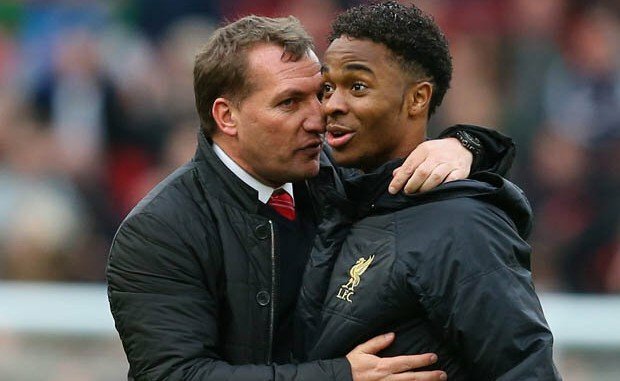 Yesterday I wrote that I think Sterling should not be sold by Liverpool under any circumstances…mainly out of spite. Today we hear that Liverpool has pulled him off the plane and sent him to his room as they thrash out the final details on what looks to be a 49 million pound transfer to Manchester City. 2) We got a lot of money! But, here’s the thing, there may very well be a whole heap of you right now, questioning Sterling’s worth. There may be remarks about how he really wasn’t that good anyway, but the reality is, he was a very important player for Liverpool, he had the potential to be a world-class talent and having watched him progress with such ease since his debut, I am absolutely upset that he is being sold. There is no sugar coating this, he was a phenomenal youngster for our beloved club, and the time will come where the rage will subside (I think) but until that point, we should all maybe just take a few deep breaths, maybe take in a few beverages and let the calm overwhelm you. If it helps, you could imagine Sterling failing miserably at City, all while earning a ridiculous sum of money. If it helps, you could maybe imagine Sterling fulfilling his potential as one of the best young talents in Europe. But what we should not do as supporters is to engage in a complete rewriting of Sterling’s history at Liverpool FC. He was a fine young talent, that we pushed through the ranks and now that he is leaving, we don’t get to pretend as though that did not happen. And we need to ensure that we as a club never ever allow ourselves to be put in a position where someone so young and with that much talent is allowed to leave. If we engage in revisionism in an effort to make ourselves feel better about the current situation all we are doing is laying the path for this to occur again and that is definitely not what is needed.